Your home or business makes a great first impression after you use the services of Outdoor Care LLC. Our Bloomington, Minnesota-based business offers home lawn care, commercial snow plowing, and landscape design to improve your curb appeal no matter the season. 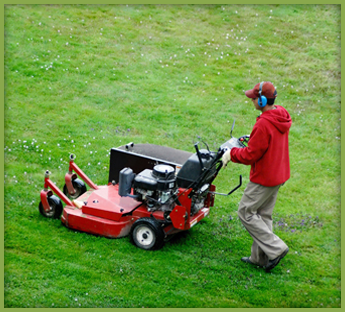 Outdoor Care LLC specializes in full-service lawn care for both residential and commercial customers. As part of our lawn care service we pick up all garbage, debris, and mow the yard with detail. We also edge all curb lines and blow leaves and debris away, leaving customers with a spotless lawn. During spring and fall, we offer complete cleanups, removing all fallen leaves and debris from your property. In the spring, we clean up any garbage that's gathered around during the winter. These services also include power raking, hauling away yard trash, monthly mowing. Outdoor Care LLC is happy to tailor our services to customers' needs, so we can also offer these services without mowing, for example. Contact us to schedule a free estimate. As part of our property maintenance, we offer fertilizing, hedge and bush trimming, core aeration, over seeding, and delivery services among others. 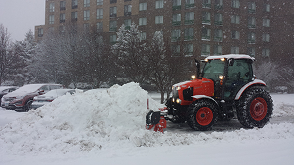 During the winter, Outdoor Care LLC offers commercial snow plowing and snow removal services. 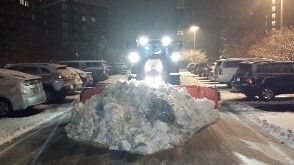 We do remove snow for residential customers, including clearing driveways, but our focus is commercial work. This also includes snow blowing, sidewalk shoveling, ice management, and salting. Contact us for a free estimate.